Perhaps one of the least sensational-sounding dishes imaginable, it’s the lettuce soup at Al Dana that has me raving. I take inelegant glugs of the gazpacho, desperately trying to decipher its chilled, tangy composition. 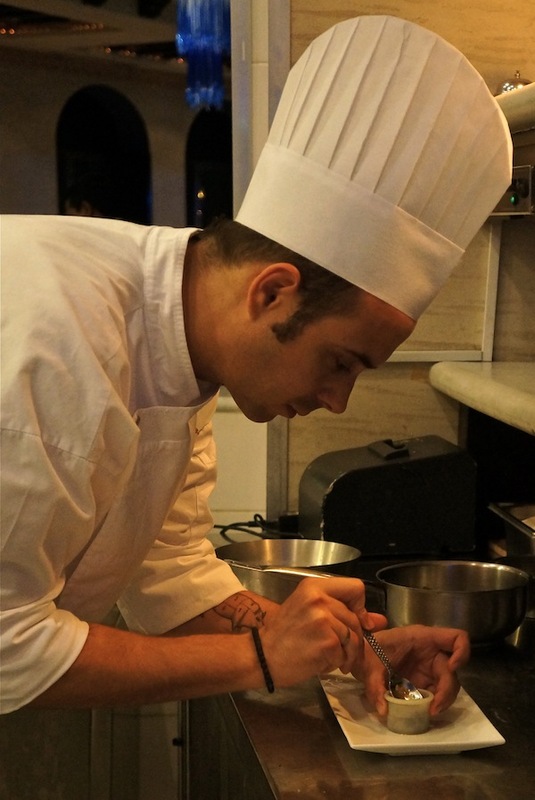 But Chef Dimitrios Fatisis is one crafty cook. Beyond detecting a murmur of fresh parsley, I’m stumped. My dining companion has time only to say, “It’s ridiculous” before diving back into her bowl. I get to a point where I’m fishing for more bisque beneath the salmon tartar with caviar — the actual focus of the dish, they’re frankly irrelevant. The soup is the very first item in a brief but exciting menu. Exciting because you truly get a sense that this is a seafood restaurant with character, where lobster gets dressed in wasabi sauce, octopus is smoked then anointed with fennel pureé, and an entire display room is devoted to the catch of the day, prepared either to your or the chef’s discretion. 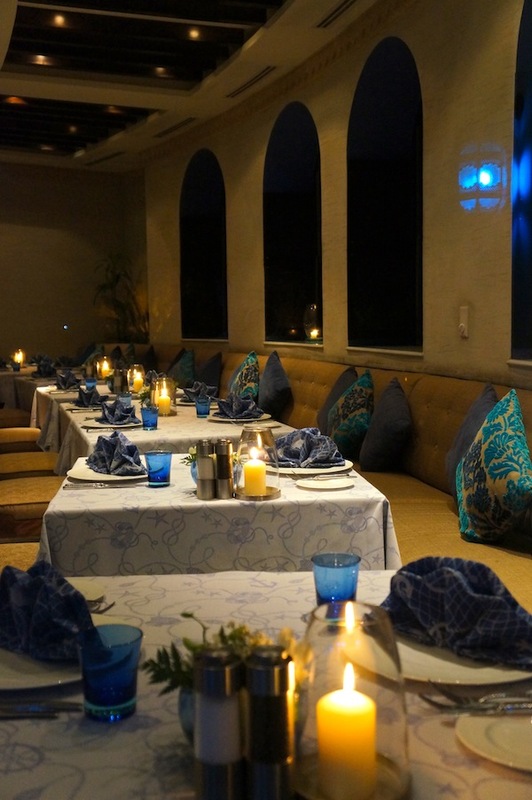 Still, nothing quite prepares you for a meal at this seaside outpost of the Sharq Village and Spa. There’s little buzz surrounding the food. The crowd on this weekday night is subdued if not veering on formal. And the tired décor of tans and cyans is a throwback to the marine clubhouses of the 1990s. Then the first plate lands before you, and you can’t help but perk up. 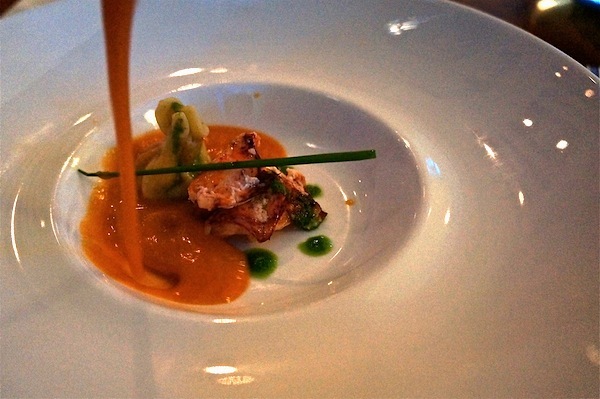 Here is a delicately poached lobster, the buttery richness of the decapod tempered by a tart tomato soup neither too creamy nor too acidic. Each element is sublime on its own then magnified as a culinary couplet. One dish after another appears a work of art and tastes like a limerick, taunting the palate with unexpected combinations. Chef Dimitrios’ rendition of the Cordoban salmorejo sauce of tomato and bread equally complements a sesame-encrusted quail egg as it does the seared tuna tataki. 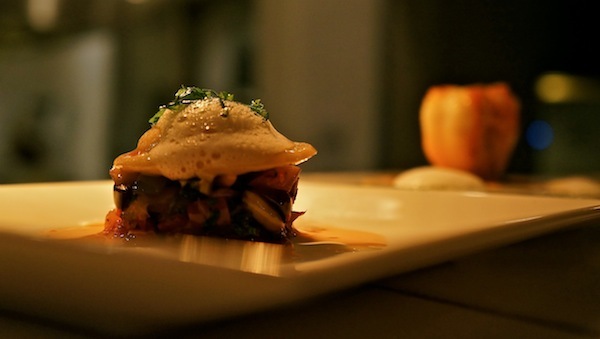 The shrimp ravioli, already regal on a bed of Sicilian caponata, comes crowned in goat cheese foam. 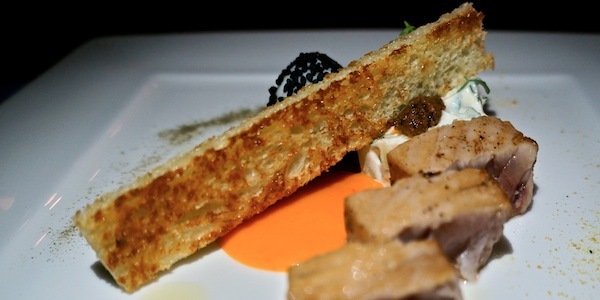 It would be negligent to overlook the cod confit. The accompaniments of fried zucchinis, pureéd leaks and baked garlic sound a mouthful but coalesce harmoniously. 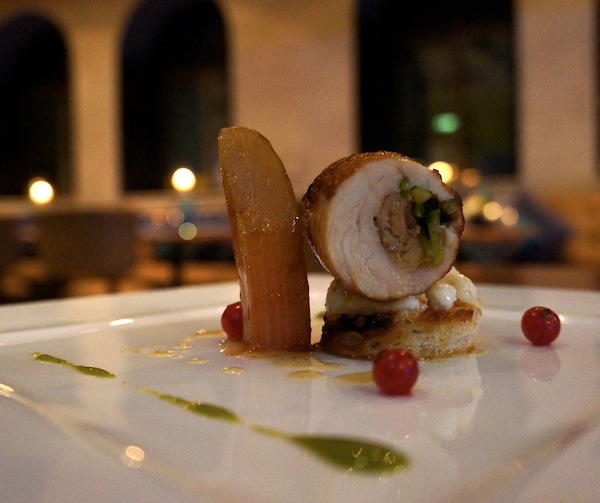 Then there is the dynamically executed chicken ballotine: juicy, breast meat rolled with foie gras and paired glazed rhubarb. I suppose the stakes were set too high by the time we progress to sweets. The tiramisu, while attractively deconstructed into a platter of polygonal blocks, lacks the same imagination or signature as the preceding plates. Indeed, as we discover, this the work of a different chef. A bit of a shame, but mollified by the quadruple hit of ice cream including an ultra silky cinnamon and the acclaimed Sharq classic of saffron. A tiny part of me wonders what dessert would be like under the rolling pin of Chef Dimitrios. For if something had emerged as exquisite as the noble cabbage soup, then the whole meal could really only be described as ridiculous. Ridiculously exceptional. 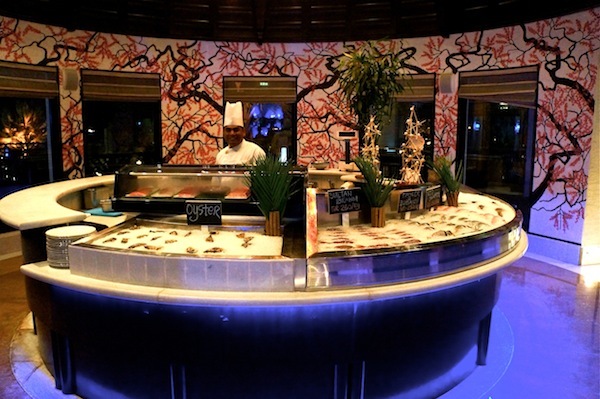 This entry was posted in Reviews and tagged dining, doha, fish, food, gourmet, hotels, lobster, Mediterranean, restaurants, reviews, seafood, travel.